Trump Boasts at Least 10 Americans Willing to Take Job As His Chief of StaffDouble figures! Well, low double figures. 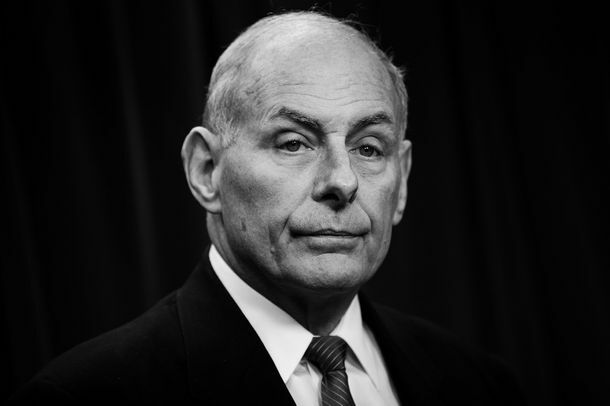 Remembering John Kelly’s Obvious Misery at His JobAmid reports that the chief of staff may soon be resigning, a look back at his facepalms and more. John Kelly Doesn’t Care Enough to Save Trump From HimselfThe chief of staff seems indifferent to the president’s fate, and while he’d like to shield protégée Kirstjen Nielsen, he’s failed. OMG John Kelly Reportedly Said Women Are Too Emotional? !I am so upset! 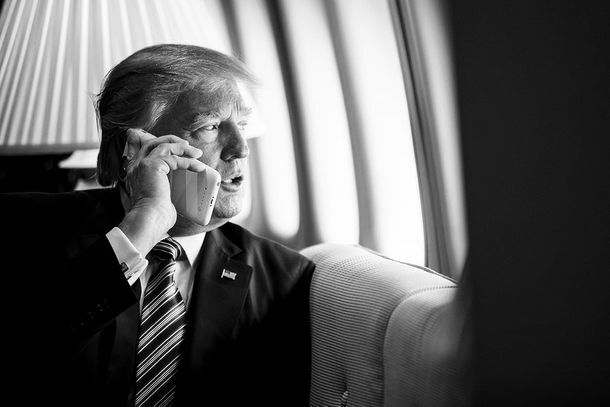 Rebellious Teen Donald Trump Keeps Sneaking His Personal Cell PhoneAll behind John Kelly’s back. Comey: John Kelly Called Trump ‘Dishonorable’ for Firing MeThe boss isn’t going to like this. Trump Sort of Goes to Bat for John Kelly After Negative ReportBut he didn’t say actually anything nice about his chief of staff. 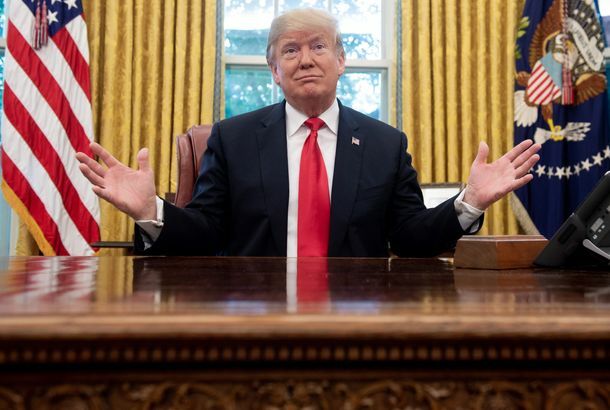 Report: Kelly Blew Up at Trump in Oval Office, May Have Threatened to QuitSuddenly, he’s relatable again. Trump Staffers Are Freaking Out Even More Than Usual Right NowMore tales from the court of the Mad King. Stephen Colbert Beseeches John Kelly to Spank Donald Trump With a MagazineAs a rolled-up magazine goes, so goes the nation. John Kelly Probably Shouldn’t Buy Any Green BananasTrump apparently doesn’t want to have any chief of staff at all. What Do Jared and Ivanka Do All Day?Chief of Staff John Kelly would reportedly like to know. President Trump May Be Secretly Undermining Jared and Ivanka, TooHe reportedly asked his chief of staff to help push them out of the White House — a smart (yet bizarre) move. Report: H.R. McMaster to Be Fired — at Kelly and Mattis’s BehestThe White House is preparing to oust its national security adviser and replace him with an executive from Ford Motor Company, according to NBC News. A Brief Guide to Every 5-Alarm Fire Currently Engulfing the White HouseKushner is at war with Kelly. The world is at war with Kushner. The president is gunning for “Mr. Magoo.” A war over a trade war. Hope is lost. Jared Kushner’s White House Security Clearance DowngradedThis is going to make that Middle East peace push extra difficult. Kushner Fights to Keep Access to Top Secret InfoTrump’s son-in-law can’t seem to pass an FBI background check. Now, John Kelly is poised to revoke his interim security clearance. Report: Kushner Requests More Intel Than Any Non-NSC Employee at White HouseThe president’s son-in-law has been undergoing an FBI background check for 13 months. White House Update: Everybody Continues to Lie to Everybody About EverythingWe can’t trust the president, nor can his aides, nor can they trust one another.